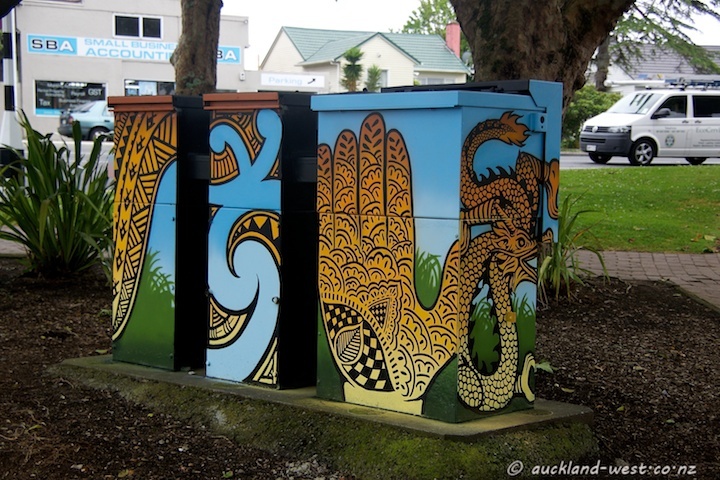 Not so long ago I came across this trio of boxes at the intersection of Great North Road and Rata Street. It appears to combine traditional pacific motives, Chinese dragon, and local history in the form of a black and white rendition of the old wooden railway bridge over the Whau river (replaced by a concrete structure nowadays). Artist unknown. Intriguing addition to the streetscape. 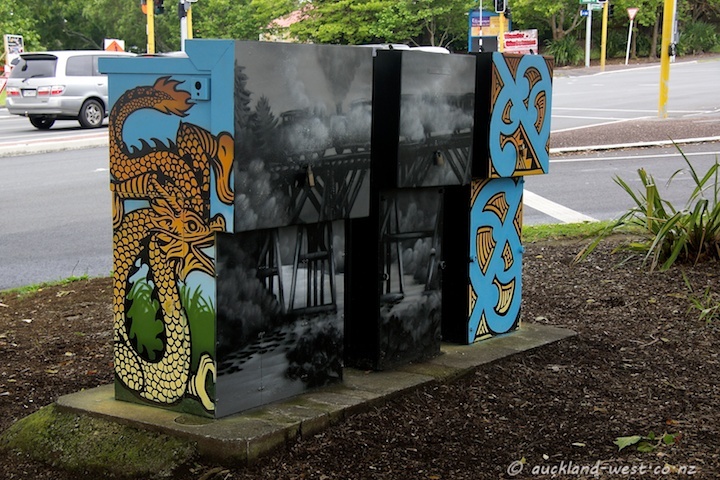 At first, I thought that this was artwork on power boxes. Now the boxes themselves seem to be an intimate part of the artwork. Lovely colours and fanciful design.